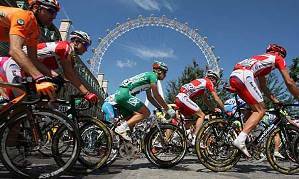 London Ambulance Service is planning for what is expected to be another busy Tour de France, the world’s largest annual sporting event. 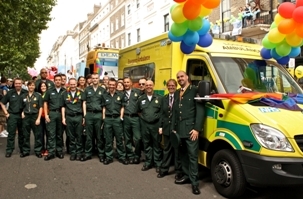 The London Ambulance Service is once again proud to be taking part in this year’s Pride event on Saturday (28 June) with a large crew of medics and support staff parading three emergency vehicles through central London. 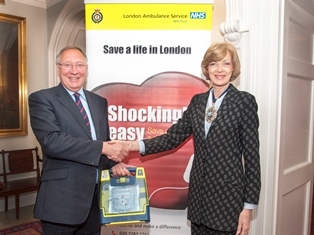 The Lord Mayor of the City of London, Fiona Woolf, and Chairman of London Ambulance Service, Richard Hunt CBE today (11 June) urged businesses in the Square Mile to get a workplace defibrillator and to become accredited with the London Ambulance Service – to help save more lives. 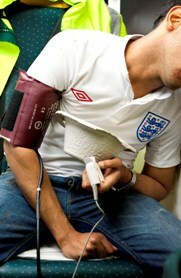 As the capital gets ready to embrace World Cup fever, the London Ambulance Service is urging people not to overdo it with alcohol during a summer of football. The London Ambulance Service is at London Bridge train station today (3 June) between 2.30-6pm to show commuters how to do emergency CPR and to save a life using a defibrillator.